After 2 months of rigorous online training for PMI ACP exam with Mr Saket, alhamdulillah, passed the exam last week with proficient and moderately proficient grades. 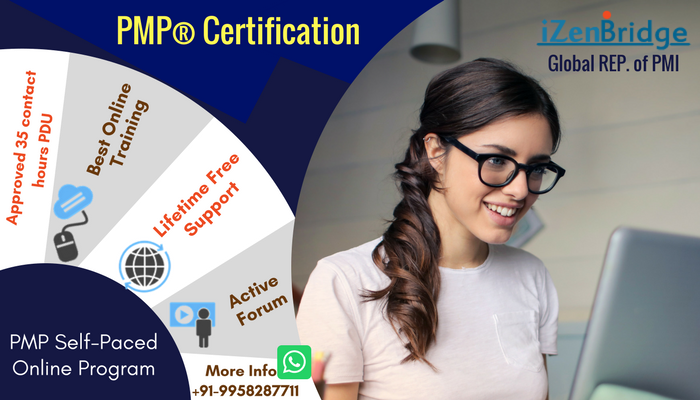 Just after passing my PMP exam i thought it will be great if i cud get PMI ACP as well, based in middle east it was hard to get a trainer for PMI ACP, soon i found iZenbridge was offering online Course for the same. Since, during my PMP preparation I had listened number of online videos of Mr. Saket, i instantly subscribed to iZenbridge Online course, and journey starts from there, though i did not had the privilege to get my hands on the most talked book of PMI ACP due to its non availability, but the lectures and notes of Mr. Saket were complete enough to fill this gap. and most importantly he was available all the time for clearing any doubt. For all the PMI ACP aspirants my advice is to clear the doubts quickly as they crept in, and go for practice test as much as possible, on the final day of exam you will find it easy. The biggest trouble for this exam is lack of complete syllabus (as we had in PMP) so if you dont have good trainer you are bound to fall. Congratulation !! and thanks for sharing your preparation approach... and i am happy to know that you liked our approach for supporting client in their certification journey. Stay in touch, we will do many PDU events also....so you can maintain your PMP and PMI-ACP with us. saket wrote: Congratulation !! and thanks for sharing your preparation approach... and i am happy to know that you liked our approach for supporting client in their certification journey. Even they say these are catogory A PDUs but i dont know how to claim them as we can only search for activity number or Provider number which cannot be found anywhere on the above link. Yes it surprises me also that they are giving Cat A PDU's. but we have paid the membership fee.